Maureen Bourassa is an Associate Professor of Marketing at the Edwards School of Business at the University of Saskatchewan. Her research is aimed at understanding respect – specifically, she studies the meaning and impact of respect in the context of stakeholder relationships, business-to-business relationships, and business-to-consumer relationships. 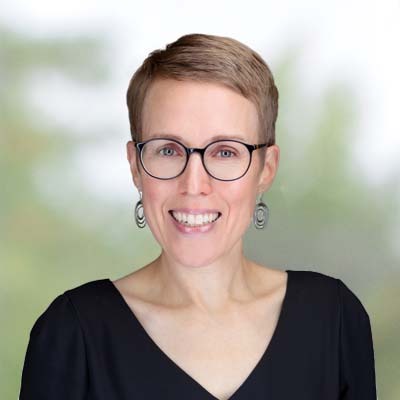 Maureen’s other current research focuses on social responsibility and stakeholder engagement – how do socially responsible organizations successfully engage stakeholders, and what are the factors around adversarial stakeholder engagement? Her recent work in this area focuses on Saskatchewan’s nuclear sector as a research context. Her work has been published in the Journal of Public Policy & Marketing, Science Communication, the International Journal of Nonprofit and Voluntary Sector Marketing, the Journal of Historical Research in Marketing, the International Journal of Public Sector Management, and has been presented at numerous conferences. Bourassa, Maureen, Peggy Cunningham, Laurence Ashworth, and Jay Handelman (Accepted), “Respect in Buyer/Seller Relationships,” Canadian Journal of Administrative Sciences. Berdahl, Loleen, Maureen Bourassa, Scott Bell, and Jana Fried (2016), “Exploring Perceptions of Credible Science Among Policy Stakeholder Groups: Results of Focus Group Discussions About Nuclear Energy,” Science Communication, 38 (3), 382-406. Bourassa, Maureen, Kelton Doraty, Loleen Berdahl, Jana Fried, and Scott Bell (2016), “Support, Opposition, Emotion and Contentious Issue Risk Perception,” International Journal of Public Sector Management, 29 (2), 201-216. Bourassa, Maureen A. and Abbey C. Stang (2015), “Knowledge is Power: Why Public Knowledge Matters to Charities,” International Journal of Nonprofit and Voluntary Sector Marketing, 21, 13-30. Bourassa, Maureen A., Peggy H. Cunningham, and Jay M. Handelman (2013), “Marketing as a Response to Paradox and Norms in the 1960s and 1970s,” Journal of Historical Research in Marketing, 5 (1), 47-70. Jay M. Handelman, Peggy H. Cunningham, and Maureen A. Bourassa (2010), “Stakeholder Marketing and the Organizational Field: The Role of Institutional Capital and Ideological Framing,” Journal of Public Policy & Marketing, Special Issue “Stakeholder Marketing,” 29 (1), 27-37.